A new Expendables movie is like Christmas morning when you open your presents and wonder: “How the hell did you come up with this?” That’s basically what I thought as I watched the trailer for The Expendables 3: This Time With Young People Who Understand TechnologyThe Expendables is a who’s who from every action film and the trailer is, fittingly, a roll call. The familiar faces plus some new additions to the Expendables crew will bring more of the same absurd goodness to the big screen. There is no rational explanation for my love of The Expendables. I tend to hate action films but The Expendables is just good, mindless entertainment. And so I love it. A lot. 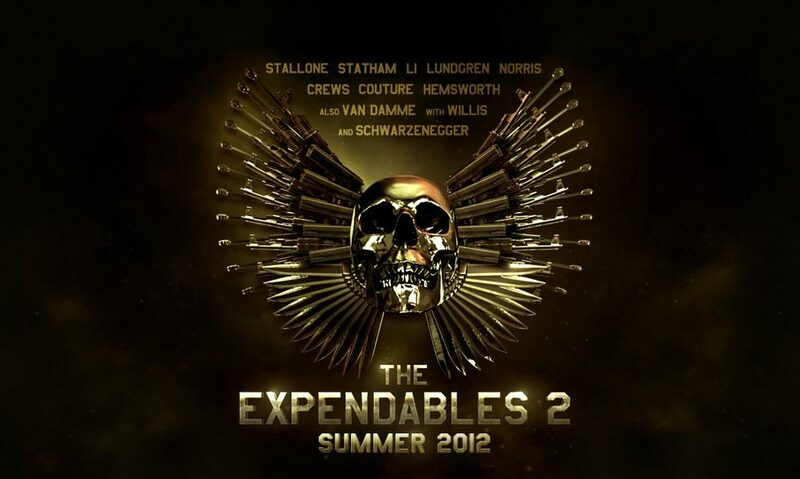 This brings me to The Expendables 2, which hits theaters on August 17. I’m excited. It’s going to great. The latest trailer for The Expendables 2 is a glorious wonder filled with explosions, machine guns, and ridiculous dialogue. (What’s that Sly? A lucky ring? I hope it isn’t like Alaric’s ring on The Vampire Diaries because that wouldn’t be good.) Liam Hemsworth joins the cast, though I don’t know if he adds to anything to movie. But I don’t really care because every other star (Chuck Norris, Jean-Claude Van-Damme, Bruce Willis, Arnold Schwarzenegger) will probably overshadow his presence. Anyways, I have made a list of 15 (awesome) things about The Expendables 2 we should take away from this latest trailer. Enjoy.